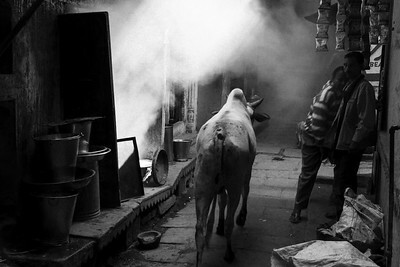 This video takes a look at the street cows in Varanasi, India's holiest city. Cows are considered scared and can do pretty much as they please, sharing the narrow lanes with the local people. Photographed with a digital Leica M9, and an analog Leica M7 with Ilford HP 5 and Kodak Tri-X film. Editted in Final Cut Pro X. Photos taken in 2016 and 2017.